We respect your hard earned money. 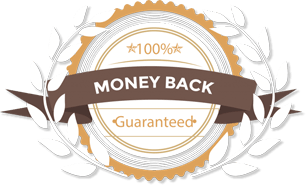 If you think your purchase does not provide you value get 100% refund! All purchases at LadaDeal are covered by our ” 7 days No Questions Asked Refund Policy”. Usage of our products for 7 days, will assure of our high quality Softwares and incase you are not convinced, you can ask for refund, which would be duly processed back for you, no questions asked. Please read the guidelines governing the refund policy. Through our website we exclusively sell our own clothing brand. The return policy we offer on the clothing we produce ourselves is as follows; We are happy to offer size exchanges, color exchanges or design exchanges on any item you receive that does not fit correctly, but you will have to pay for return shipping to us and we will cover the cost of shipping the new item out to you. This is because we have not made a mistake, and to keep our shipping prices low we do not incorporate return shipments at the moment. Unfortunately with the limited numbers of items we make, the item you purchased might already be sold out in the size you purchased or want to exchange for and so we are at this time unable to do an exchange for your piece, if that’s the case we will then refund the money back to your account within 10 business days or less. If the mistake is on our side at the moment of shipping, we sincerely apologize and will cover the cost of shipment (both ways), either domestically in USA or international. We apologize for any inconveniences this may cause and continually working hard to make sure that none of the above scenarios will ever be applied to you and that you will always be satisfied with our products and services. LadaDeal reserves the right to refuse refunds if any efforts of refund policy abuse are detected. It has been observed that some of the users are rampantly downloading all products and then asking for refund and again re-signup when new products are launched and then again ask for refund.